For $20 it has been a great OWB holster. Small on the belt & hip, snug fit, good retention and combined with a good gun belt the Bulldog leather holster holds close to the body. Conceals well with a larger t-shirt or jacket. I have 4 other Shield holsters – the Remora IWB, Alien Gear OWB, Disantis Mini Scabbard and a Safariland OWB. The Remora is good choice for IWB (inside the wasteband), the Alien Gear is bulky and large but does hold tight to body, the Disantis is also a good one but not as close to body, and the same with the Safariland. I find myself using the Bulldog Leather Holster 24/7 now. 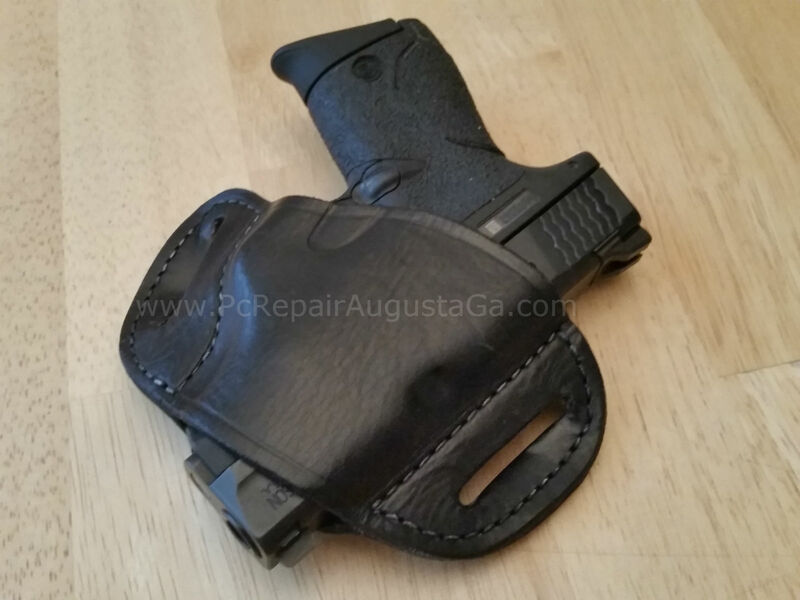 The M&P Shield takes the medium size Bulldog Leather Holster. On eBay if you do not see any Bulldogs holsters listed as “medium” or for the M&P Shield, check the sizing chart for any of the guns listed on eBay. 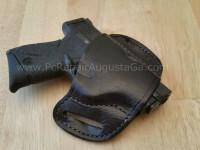 If the gun in listing takes a medium Bulldog holster, it will fit the M&P Shield also. Comes in tan or black. I also have a Taurus Millenium G2 9mm in a large Bulldog Leather Holster. Large size for the Taurus G2. This large size will also hold a variety of other handguns – Ruger SR45, S&W SD9VE, and Sig Saurer SP2022 and more! 2 gun carry belts I use is a Daltech Force SuperBios IndestructiBelt and Hanks Concealed Carry Belt. Hanks Amish leather belts are recommended by many. If you have any questions, just comment below, will try and answer for you.